*sometimes you can get cheaper than this if there's a SALE. It has dual-shade powder light and dark brown. They claim that this best for brow and nose contouring but this baby can do more than that!! I was amaze when I discover the trick and technique using this Silkygirl Brow and Nose shadow. This small kit can do more than that. Here the swatches for each color. I fall-in-love when I saw the color because the color is just what I want! 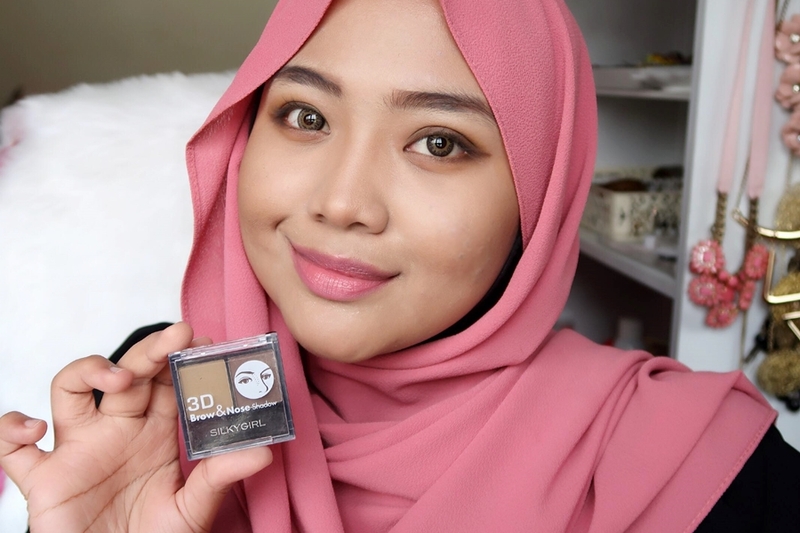 Let see how multi-purpose is this Silkygirl Brow & Nose shadow. 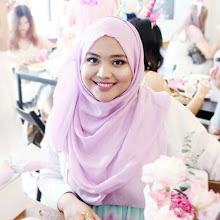 The light brown color also perfect for your eyeshadow color. It also best for nose shading as I use the light brown and tap a bit on the dark brown and I do nose shading. I can see the color really pop-out nicely and natural-looking. Last but not least, it is also best for bronzing. 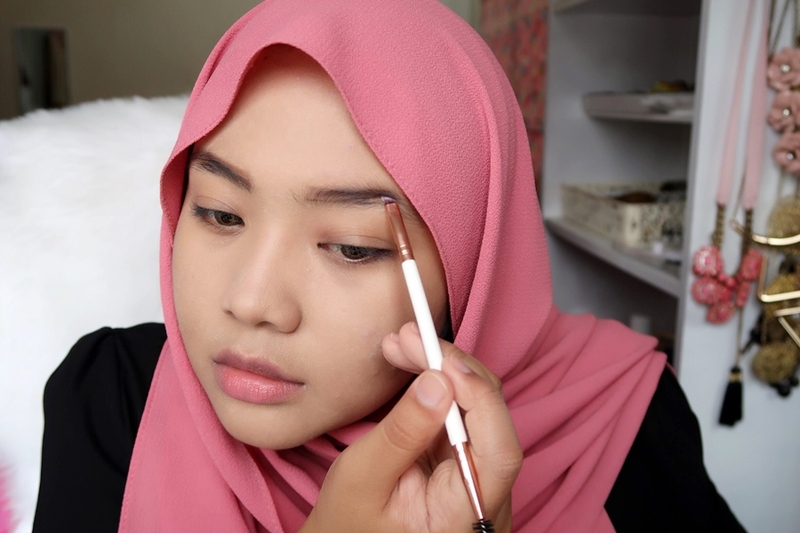 Check out the mini-tutorial on my instagram @syafiqahhashimxoxo . 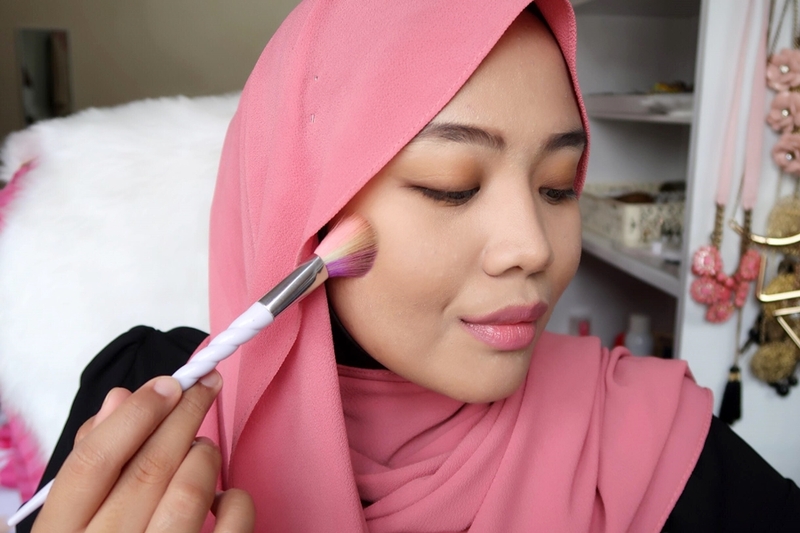 I'm showing on how multi-purpose is this Silkygirl Brow and Nose Powder is. 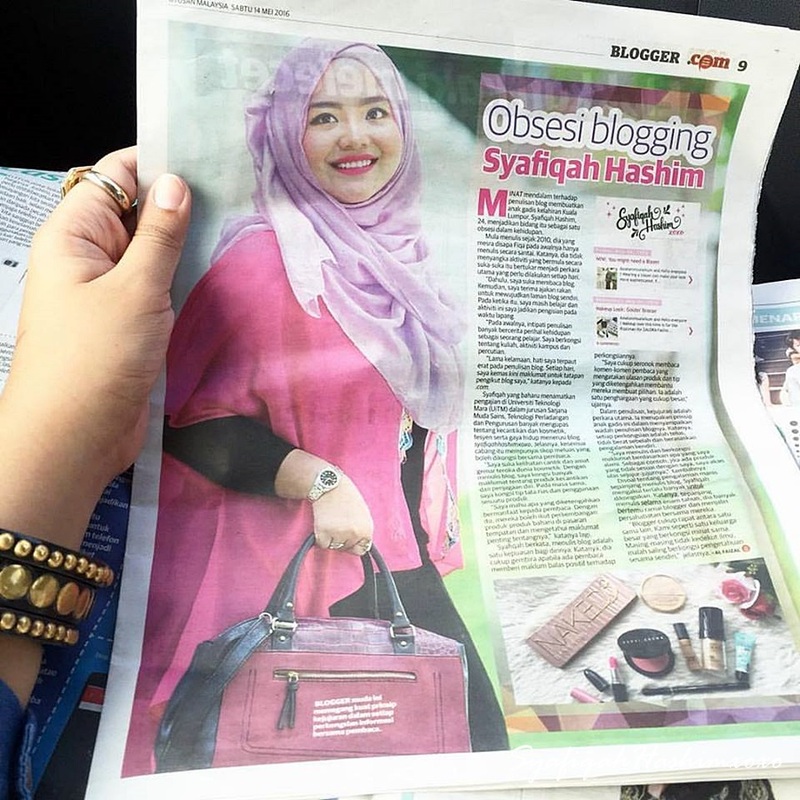 Overall, this is worth to get. I was pleasant with the brown color in this kit. It is super affordable and multi-purpose too. 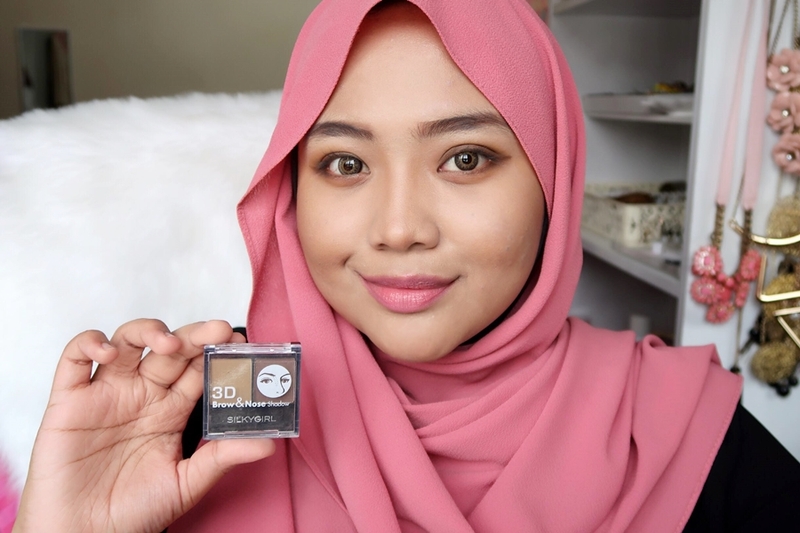 This is a-must-have product with me when I'm travelling because it make my travelling more easier and I only need this one tiny little compact with me that can help to create a natural daily look. It might works differently to other skin tone but it works wonder for my medium skin tone. I also find that this kit is best for those beginners and for those who don't like makeup too much yet you still want to have some brown natural color this is it. Hope you find this trick and tips helpful for you.